Wow, it’s about time I wrote another blog post. I hope this will be a jump-start to better attendance here at my blog. So, here is my latest FO (finished object). 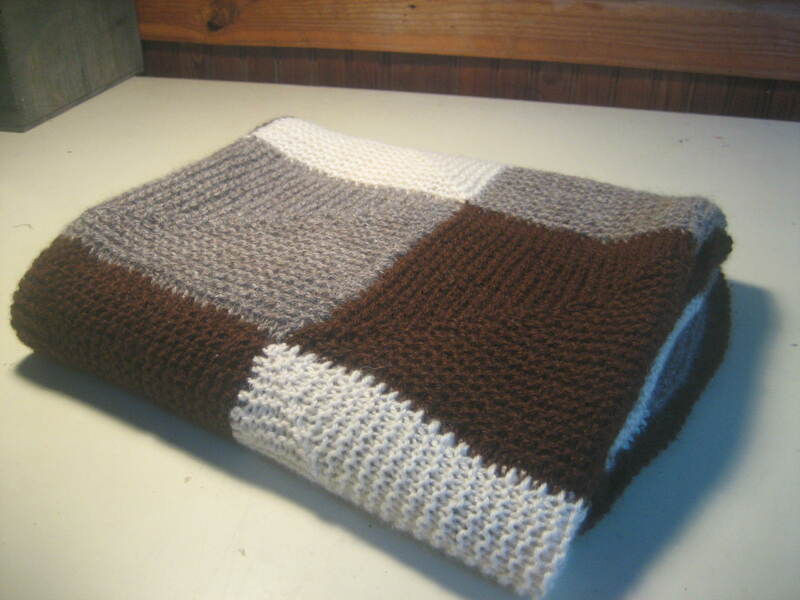 It’s a lap blanket made for our excellent friends, Mike and Karla, who recently moved from Atlanta to Michigan. When I learned they were going to Michigan, I realized they would need something warm. I also wanted it to be symbolic of their years in Georgia and to speak to their locavore souls. Thus, I made a quick trip here — Southern Estate Alpacas in Adairsville, Georgia, and bought some of their locally raised alpaca yarn. So the lap blanket is not only warm, it’s connected to their old home in Georgia in a profound way. I sure hope they enjoy using it as much as I enjoyed knitting it. 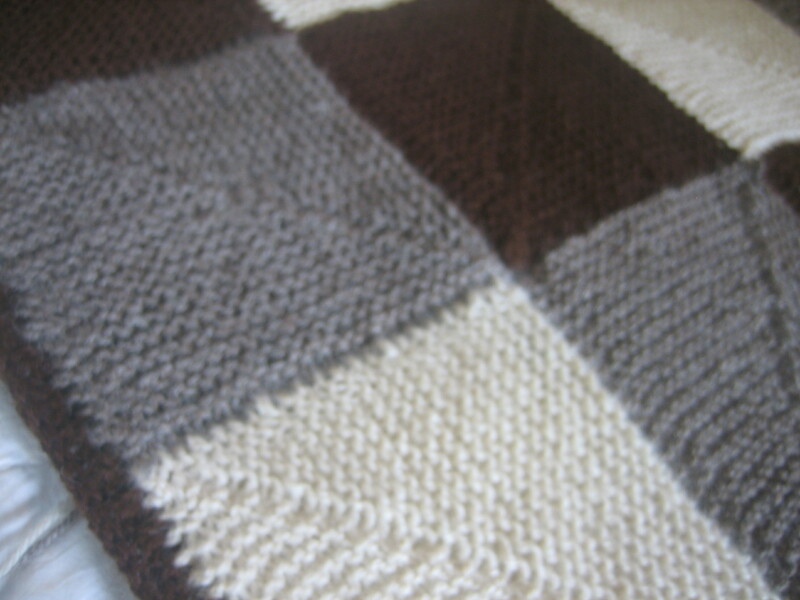 You can see the pattern in detail on my Ravelry page right here. 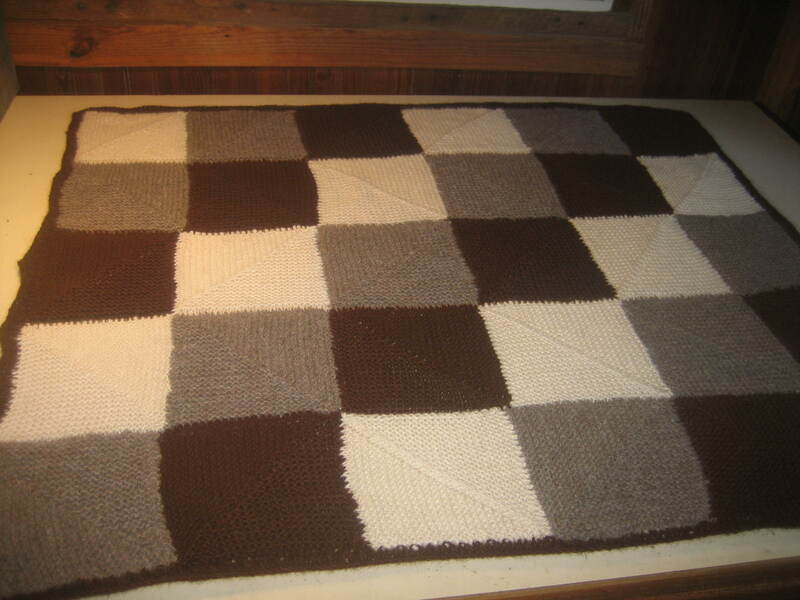 I’m calling it the Back to Square One blanket. It’s a very fun knitting technique I found in a pattern by Artemis Ardornments—you basically start with a straight line of stitches but little by little “zip up” the center by doing k3tog decreases in the middle, thus making the diagonal line in each square. It was a perfect combination of easy knitting — all garter stitch — but with a little twist that makes it interesting. See the diagonal line made as the decreases zip up what was a straight line into a square? 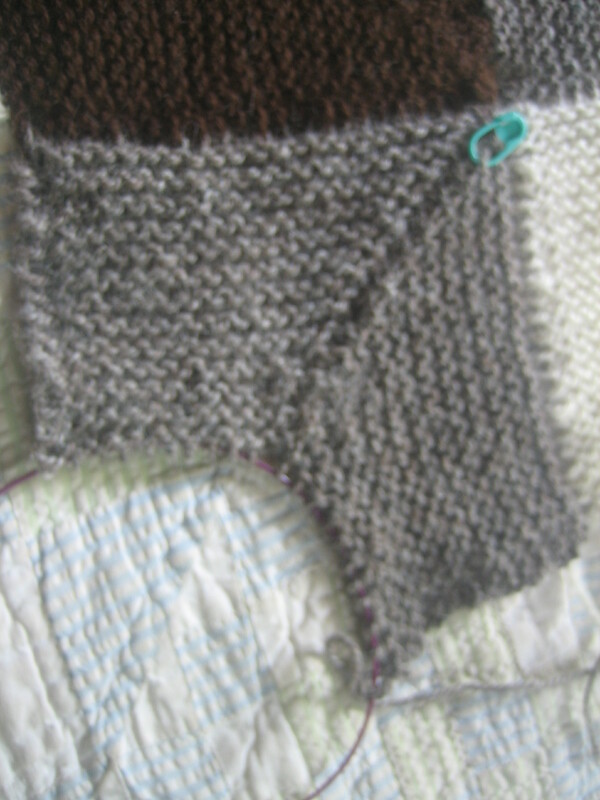 I did 5 squares by 6 squares, and I picked up and knit the edging in broken rib pattern. Then finished with a stretchy bind off.